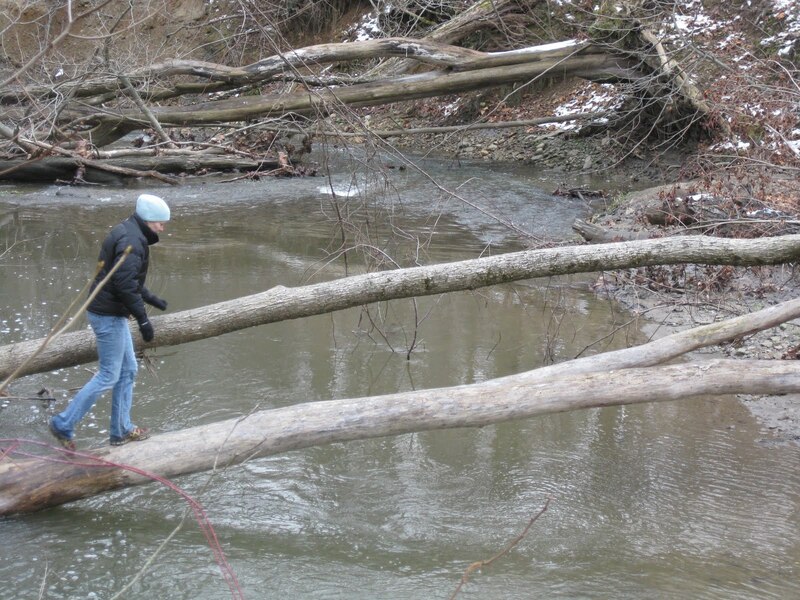 Jane crossing a cold stream in Northeastern Ohio over winter break. Last night I ran a class that showed climbers how to use and implement a systems board training program into their climbing routine. The class focused on where to begin, the purpose of the board, the types of exercises performed and how often to use it. I was surprised to see how many climbers (or at least folks who use the gym) don’t know how to use the equipment that they are paying for the service of using. It makes me wonder how many services that are provided to us that we pay for and don’t actually take advantage of. I am sure that there are many services in my life that I overlook or don’t use at all. So why am I discussing this on my blog, well when you are buying clothing, gear or even planning a trip, I hope that you are sure to check out and use everything that you are offered. Sometimes these services make your life a whole lot more enjoyable and successful. The Systems Board is one piece of equipment that is probably at your local gym that you can really be improving your overall climbing with and its at no additional charge. core tension, lock off strength, target practice for hitting/grabbing holds, contact strength, pockets, mono’s, multi-finger pockets, underclings, side pulls, gastons, lie-backing, jugs, slopers, pinches, backsteps, high steps, long moves, crunched up moves, sideways reaches, bumps to and from any type of holds, (if the board is an adjustable angle board) overhanging climbing techniques… The list goes on and will truly benifit you as a rock climber.